I wanted to share with you a great book that I read recently. Written by David Emerald, The Power of TED is a book drafted in a narrative style, similar to a fable, and it tells the story of a man who has recently gone through many difficult situations in his life. He is having trouble getting out of his hopeless mentality and meets an unexpected stranger who explains to him another way to approach life and how take control of his own outcomes, regardless of circumstances. I have outlined some of the main concepts that are explained in the book below. 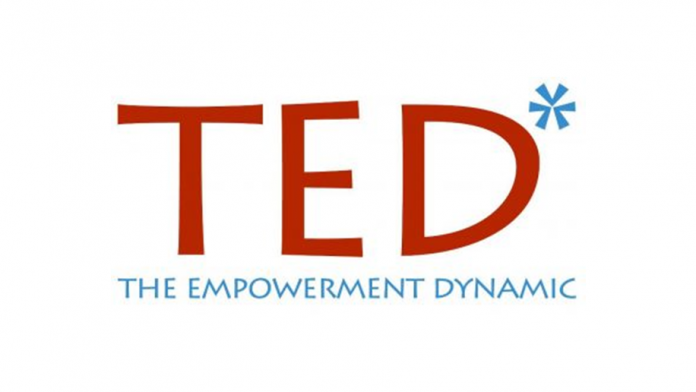 The Creator is the central role in TED*(*The Empowerment Dynamic), which taps into an inner state of passion. Directed by intention, a Creator is focused on a desired outcome, propelling the person to take action. The role of Creator is the alternative to the drama triangle role of Victim. criticizing, blaming, or controlling. The role of Challenger is the alternative to the drama triangle role of Persecutor. A Coach shows compassion and asks questions to help a Creator develop a vision and action plan. A Coach provides encouragement and support, in place of “rescuing” actions. The role of coach is the alternative to the drama triangle role of Rescuer. If these concepts sounds intriguing to you, I would definitely recommend you read through the book, which explains each idea clearly and gives practical examples to illustrate how to apply it to real life. Although the ideas themselves are simple, the book has the potential to transform your life if you adopt its proposed approach when facing difficult situations.